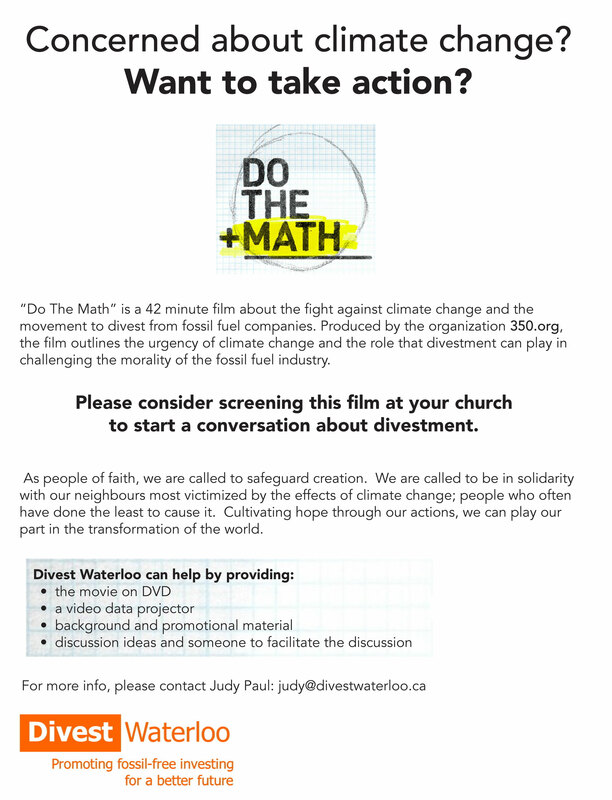 Divest Waterloo wants to help create awareness within the faith community about the urgent need to take action on climate change. We welcome the opportunity to work with you to further these discussions within your congregation. Fossil Free Faith‘s Divestment 101 Webinar Series, three pre-recorded web seminars developed specifically for Canadian Faith Communities.